This might be my last entry before my summer holidays. Still have lots of packing to do before the trip which is this Monday, 18th June and we will be back to Kuwait on 9th July… just enough time to prepare for Ramadan. The whole family is looking forward to this trip… well, I think everyone deserve a time to unwind after a long and challenging couple of months, don’t you think? This year we decided to do London and Europe tour by Cox & King,UK. The tour will be covering 9 countries in 15 days. Actually a friend of ours went for this tour last year and he told us that it was fantastic. I’ll let you know all about it after the trip. 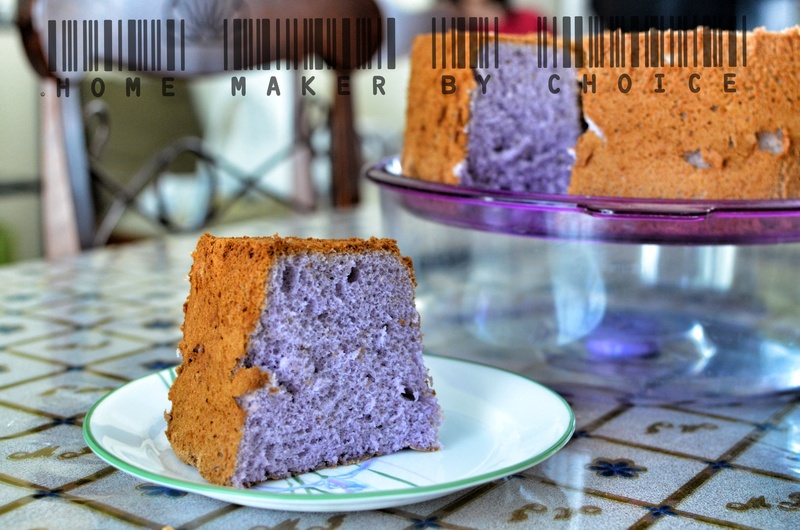 Wokey… this is my Blueberry Chiffon cake that I made 2 days ago and the recipe was taken from here but I halved the ingredient due to my smaller chiffon cake pan. 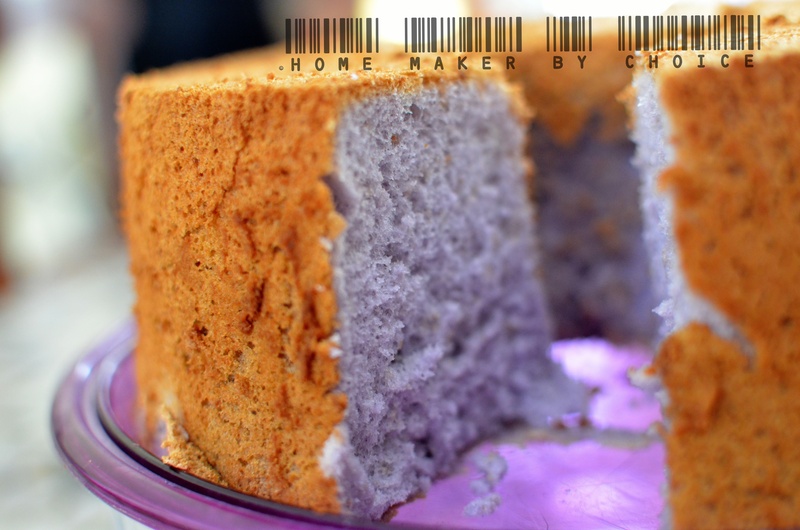 This cake is so light and refreshing…. so, please give it a try guys! Scoop 1/3 egg white meringue and add to egg yolk mixture.. fold in gently. once combined.. pour egg yolk mixture into meringue and continue to fold in gently and lightly.. once mixed pour the batter into an angel cake pan. 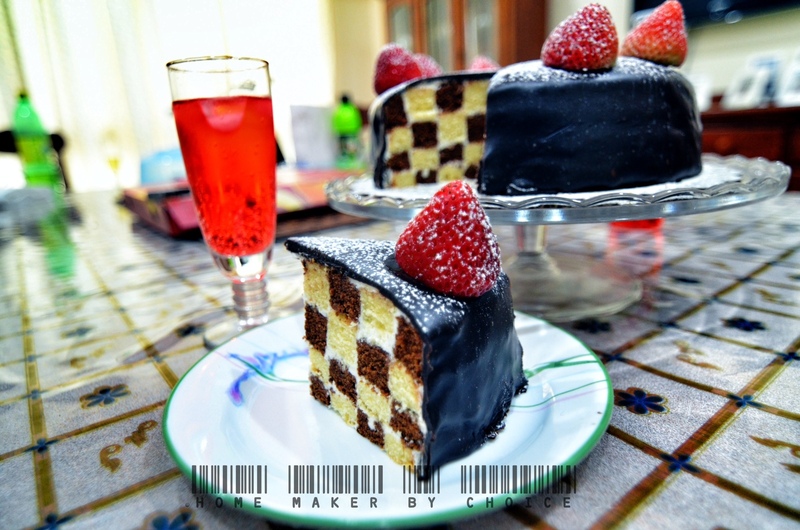 Yeayyy…At last I managed to make this checkered cake after months of waiting for the right cutter. Thanks to Pn Zalina for “lending” me her cake cutter. Really appreciate it! 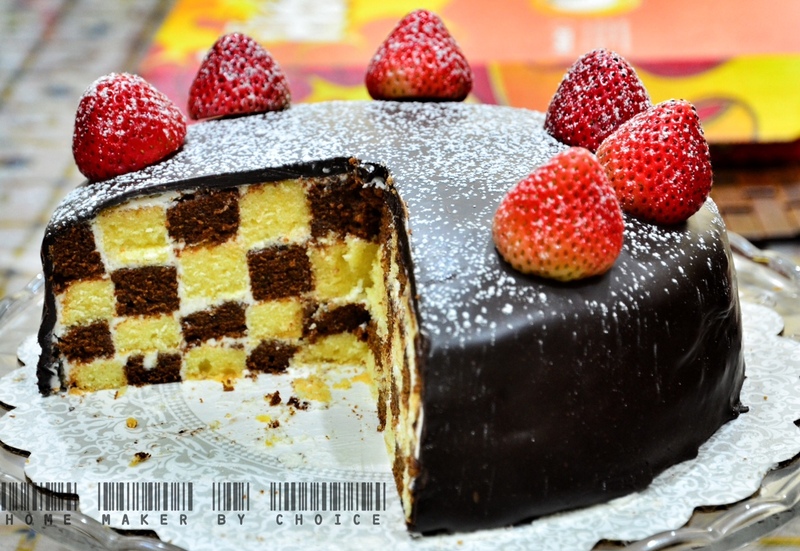 So, now I can “tick” the checkered cake box he he he. Banyak lagi box yang nak di “tick” ni muahahaha. 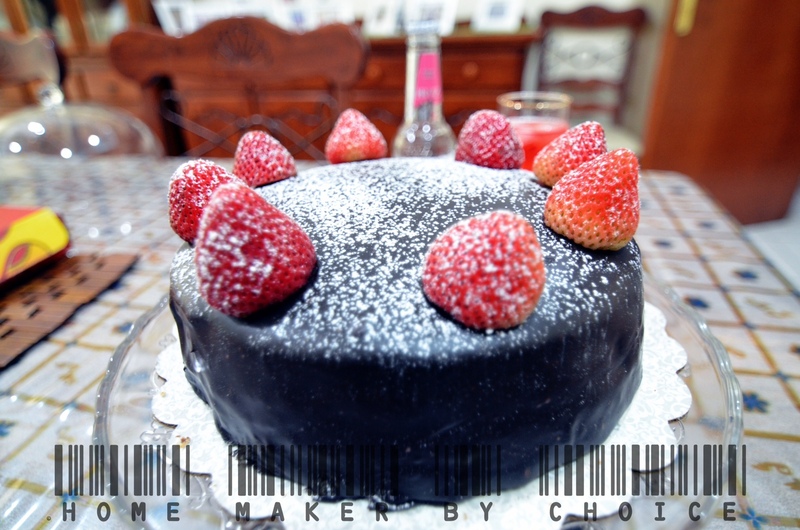 Alhamdulillah… managed to assemble this cake successfully. Recipe for this cake I took from here but you can use any cake recipe that you like for this design. The cake that I used here is a normal butter cake and for step by step on how to assemble this cake, you can click here or here. 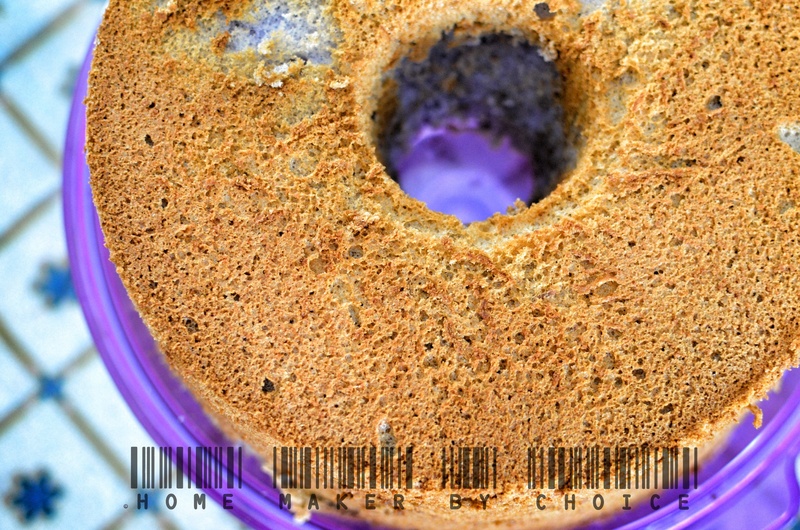 Preheat the oven to 170C and grease 2 set of 8″ cake pan. In a mixer, beat butter dan sugar till fluffy and pale. Add 3 eggs and beat for 5 min and then add the rest of the egg and beat till combine. Add flour mixture little at a time and fold the batter till well combine. Pour in the glycerine and beat for 15 sec on low speed. Divide the batter into 2 equal portion. Add the chocolate emulco to 1 of the batter and mix well. Leave the other half as it is. Pour the batter into the 2 prepared cake pan. How to Assemble : For clearer picture please see here or here. Slice each of the cake into half. Ensure that the layers are even. Cut each layer into 4 different rings. Coat each of the rings with buttercream, alternate the flavours and arrange them in a layer. After each layer, spread buttercream on it evenly. Then repeat #3 until all 4 layers completed. Frost the whole cake and decorate as desired. These photos are taken from Passionate about cooking blog.